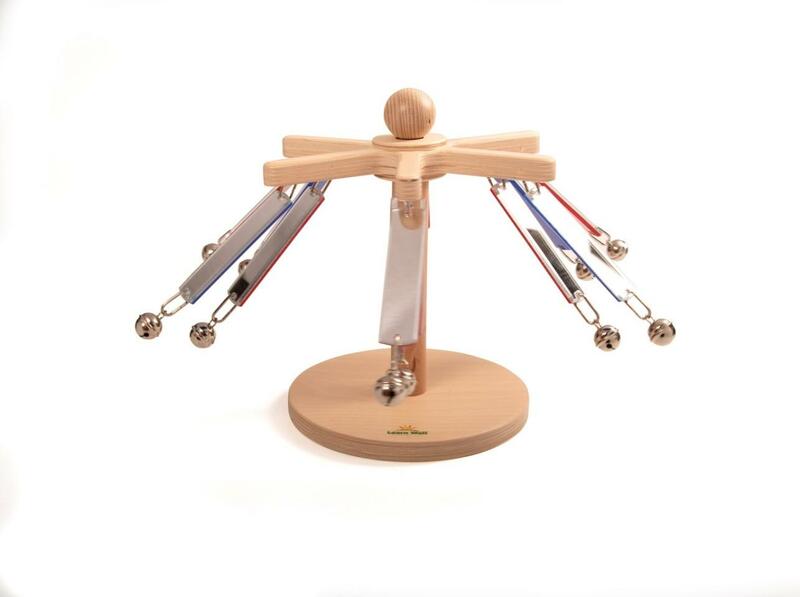 Wooden spinning frame with jangly, shiny leaves. Encourages gross and fine motor skills in handling of the components. Mirrors reflect images many times over. Spins easily. Made in the USA. Dimensions: L: 7" x W: 7" x H: 12"
Brilliant product. Bought one for my baby after seeing him enjoy playing with one at a play group. He loves it! My little boy absolutely loves this toy. It's been worth every penny - it's really well made and it's the one thing he will play with for ages. It's really encouraged him to use his hands and he rolls over to reach it too. My daughter Annie loved it. Fab product although not given yet as Christmas present and very fast delivery! Excellent product! 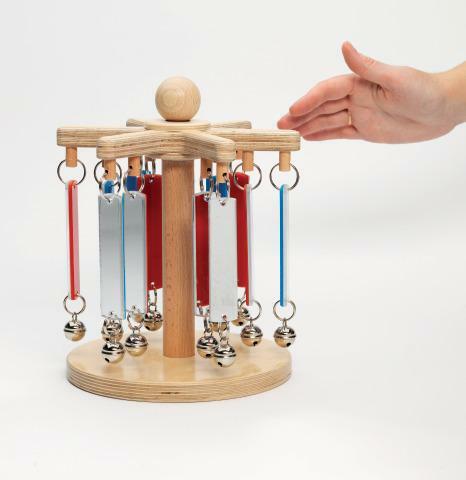 My daughter plays with this at school and loves the feel of the mirrors so we purchased this as a Christmas gift for her..will be great for her sensory needs. My son has some of these, he loves them. Excellent for spinning and shaking. He will move to get them. An excellent buy, worth every penny. The one down side is how painful they are when he throws them and you happen to be in the way! Excellent. My 7 month old profoundly deaf little boy loves this toy. He has cerebral palsy, and it really encourages him to use his hands. Couldn't ask for a better toy.